It has been refreshing to read Burnley technical director Mike Rigg talk about the club starting to catch-up with modern recruitment techniques and identify talent away from the obvious sources. 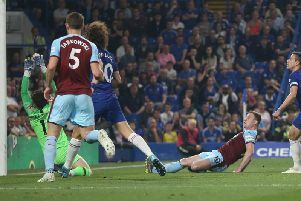 In recent years, the Clarets have looked to bring in proven Championship players ready for the step-up – Andre Gray, Robbie Brady, Jeff Hendrick, Nahki Wells, Chris Wood and Matej Vydra among them. Norwich City’s approach in the Championship – snapping up bargains from Europe – is a strategy well worth Rigg and his team looking into. Players in England are massively over-priced and there is plenty of talent available elsewhere for prices that will be easier on Burnley’s pocket. The explanation for why Burnley have not exploited the foreign player market has always been that the club don’t have a wide European scouting network. But I recently spent a day with Norwich’s recruitment team – the people who managed to unearth the excellent 22-year-old Argentine playmaker Emiliano Buendia playing in the Spanish second division - and I asked them how many scouts they have in Europe? The answer? Not one. In fact, Norwich, top of the Championship and heading back to the Premier League, only have seven scouts in total. They identify talent at a central base and then travel out to see the players whose stats and video performances impress them. Its not rocket science and it is good that the Clarets appear to be following that path now. But, there is another area of player identification and development where Burnley need to take a long, hard look at their performance – the youth system. McNeil is the first product of the system to emerge as a first team regular since Jay Rodriguez made his Clarets debut over 11 years ago. Two players in a decade is a dreadful return when you think of all the kids who have been in the youth teams and the academy structure. If you go back further then you can add the names of Chris McCann, Richard Chaplow and Kyle Lafferty but again that is a small return on years of investment and coaching. Indeed, you would have to go back to the early 1980’s to find a time when Burnley really produced serious numbers of first team players through their system, the era when Vince Overson, Mike Phelan, Brian Laws, Andy Wharton, Trevor Steven and Kevin Young came through under Brian Miller and Frank Casper. Whatever the outcome of this season’s battle against relegation, the club needs to start addressing this problem along with the new transfer market strategy. Mike Garlick and Sean Dyche never tire of pointing out that the club cannot compete in a spending contest with richer clubs. We all get that. The real issue now is whether the club can do better at finding value. * What a wonderful scene it was at the Prairie Sports Village on Saturday. A huge turnout of over 300 folk for the charity football event organised by Matt Simm, whose popular father Paul, known to most as Zac, is battling pancreatic cancer. Over £10.500 was raised for Pancreatic Cancer UK. It was a great example of the local football community coming together for a good cause.